Relationships are foundational to all of life. We're always in relationship with people, and it is oh so important to be good at getting along with others. More often than not, we form relationships with people, and never give second thought to why some stand strong and others fall apart. 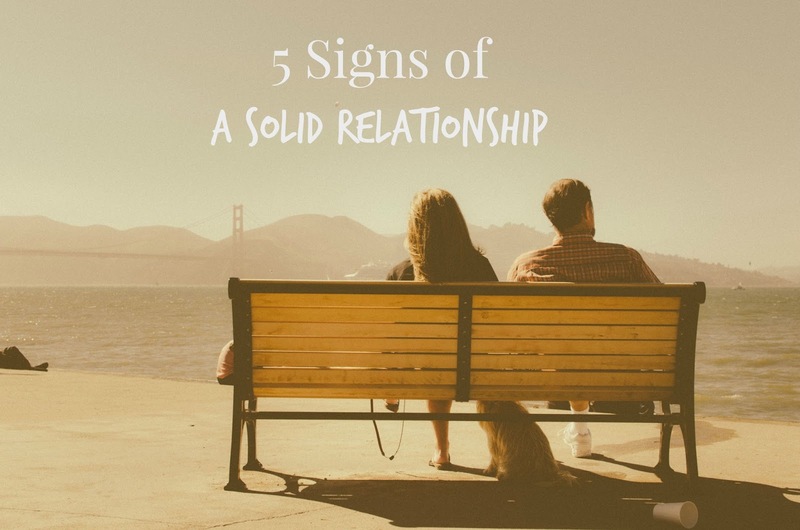 Whether you're single, dating, married, or looking to build some solid friendships, here's 5 telltale signs that your relationship is headed in the right direction. 1. Mutual Enjoyment: Spending time together just for the enjoyment of being together. Sometimes it's not about the activity, but rather, the company that makes things a whole lot of fun. 2. Respect: When you value someone on the front end of a relationship, you earn respect on the back end of the relationship. It always starts with how we treat one another. Do you see the other person as someone of great worth and value? If not, start treating them that way and you'll discover a world of difference. It's good to do a little perspective shift every now and then! 3. Shared Experiences: Going through a significant experience with another person creates a mutual bond. Think back to the times when a good friend stuck with you when you needed that most. It is often the crazy moments, major life happenings, or the events that become 'well-loved stories' to tell later that bond you to another! 4. Trust: Trust is the foundation of any relationship. Get this one right from the get-go, and you are set up for success. There always is an element of trust in any relationship, and if you cannot trust someone, find out why, and how you can take steps to begin to rebuild that trust again. 5. Reciprocity: Solid relationships must be beneficial to both parties. Each person has to put the other first, and both have to benefit. Here's the deal, relationships are not a one-way street; each one needs to give a little and take a little. If one person is constantly giving, and the other never reciprocates, that relationship is headed for burnout and disaster. Instead of always thinking of your needs, anticipate the needs of the other person, and do something for them! When we begin to think of others first, it will radically change how we view relationships. How do your relationships measure up? How can you continue to grow in these areas?